Check out how your business is doing at a single glance. 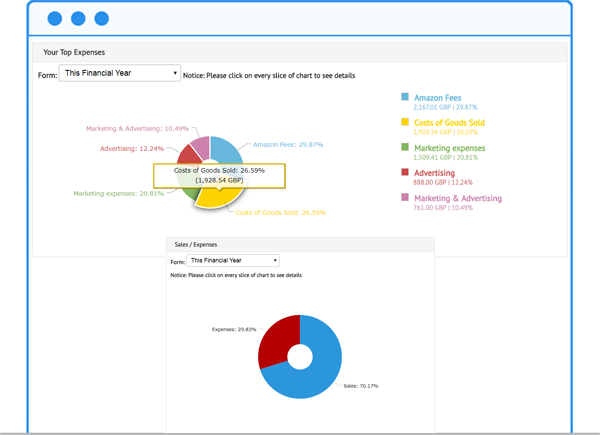 The easy-to-use dashboard is at the center of what makes Smarty such a powerful tool. You can get an overview of various aspects of your business, from up to date sales reports and outstanding invoices to current cash flow and cumulative expenses. Aside from being comprehensive and intuitive, the dashboard makes a range of important tasks more straightforward. You won’t have to rely on a fragmented array of different software packages, files, and devices to get the job done; everything you need will be in one place. 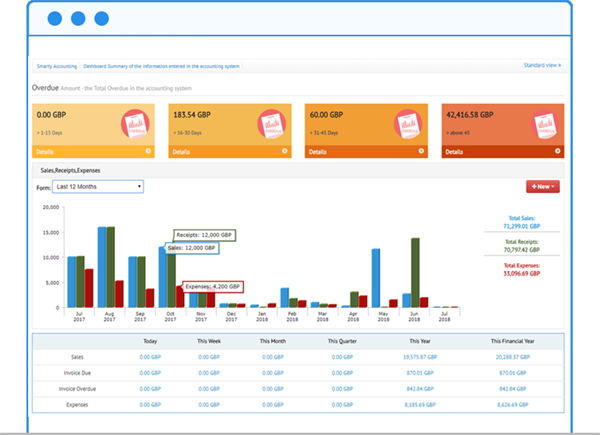 Smarty Accounting dashboard can show you the complete status of all your invoices. Quickly discover who has paid, who hasn’t and whose invoices are overdue. Smarty Accounting puts you back in the driver's seat of your own business. With so many different plates to spin when running a small business, it can be difficult to see exactly what position your company is in. If your data is fragmented between multiple employees, parties or applications it can be very difficult to tell how much you really have to spend, how much profit you’re really making and how many new leads you should be pursuing. 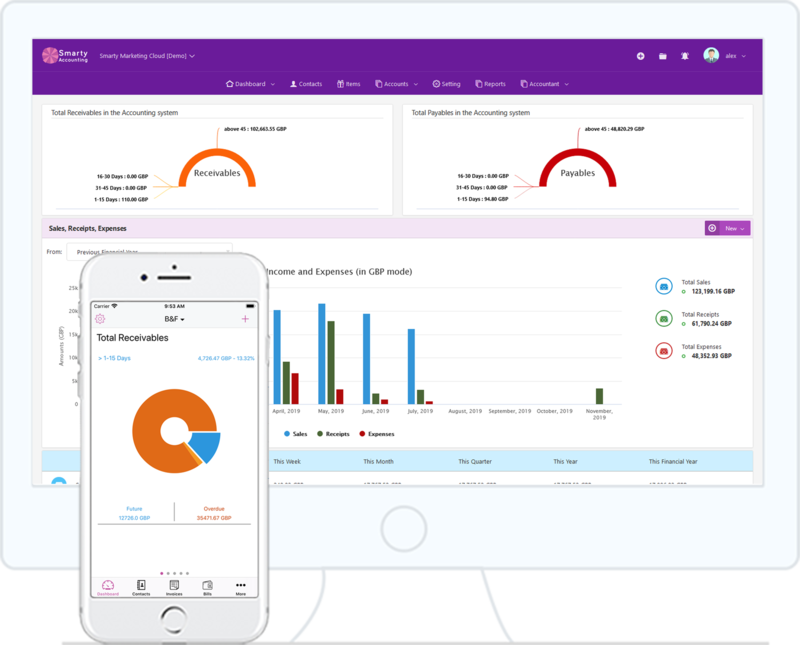 By combing all your businesses data into one easy to read the dashboard, Smarty Accounting puts you back in control. 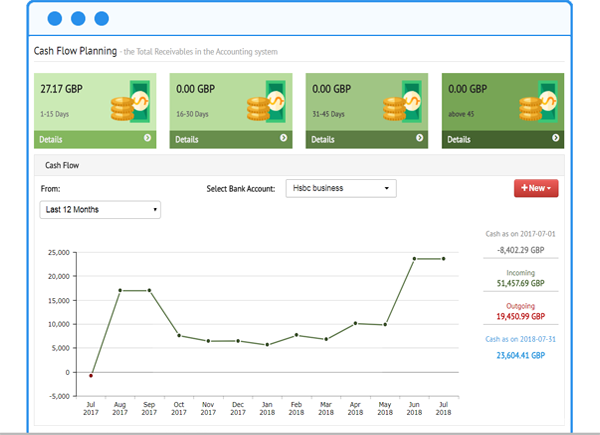 Whether it is sales, expenditure, invoices, income or bill payments, Smarty Accounting allows you to easily see how your business is running and perhaps what needs to be maintained, vamped up or stopped. See where your money is going and coming from at a glance with the easy to read dashboard of Smarty.